When your car has to sit out in the hot summer sun, your steering wheel can get quite hot to the touch. I made this cover to help keep it cool. It was a Father’s Day hit with the guys in my family. *ALWAYS remove the cover before driving! Don’t let this step scare you~ it is really easy to do! 1. 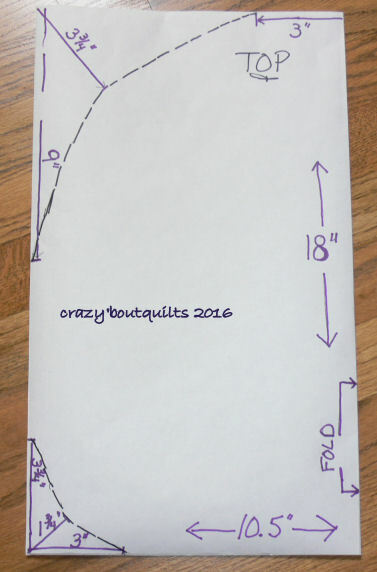 Take one of your 18” x 21” pieces of freezer paper and fold it in half so it measures 18” x 10.5”. 2. 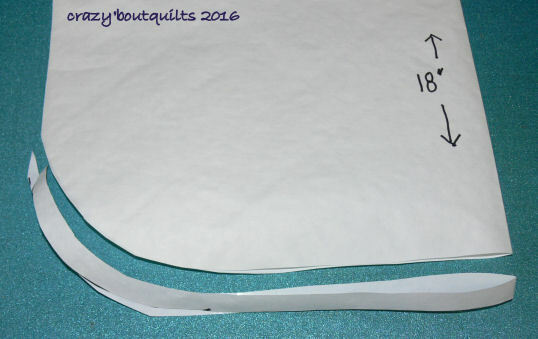 With a ruler and pencil mark these three spots at the top of the 10.5 inch corner, opposite the fold, make a diagonal mark 3 ¾” from the corner. 3. Make another mark 3” in from the fold. 4. And finally make a mark 9” down the side of the freezer paper from the outside corner. Your paper will look like this…. Connect the marks to make a long curved line. 3” along the bottom from the outside corner. Round off the corner connecting your marks again. 7. 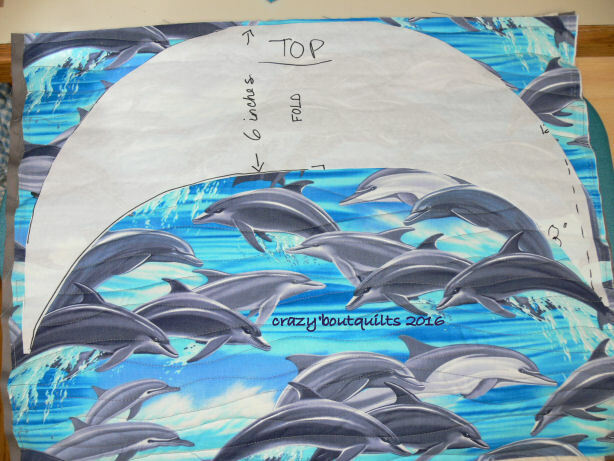 Now take your second 18” x 21” piece of freezer paper and trim the top using the previously made pattern as your guide. 8. Measure down 6” from the top and make a mark. 9. Draw a curved line from the 6” mark to the lower corner. You now have both of your pattern pieces! 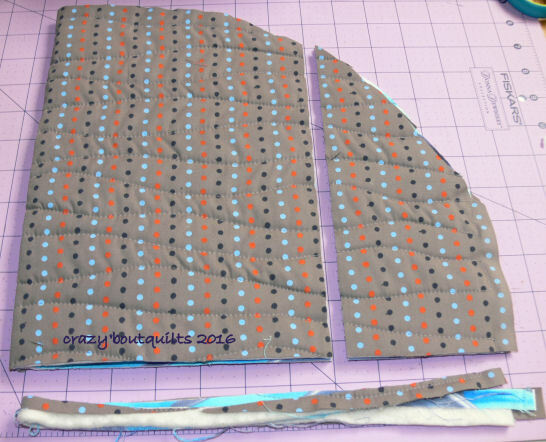 I like to cut the half yard pieces in half into two FQ’s. 1. 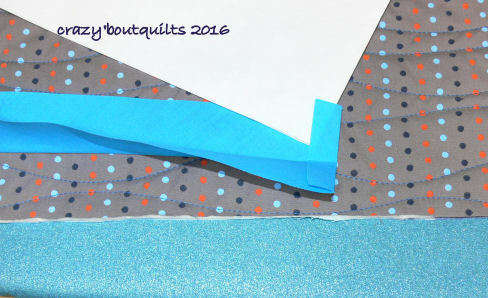 Take one of your lining FQ’s and lay it right side down on your cutting surface. Next lay the batting on top of the wrong side of the lining FQ; and finally lay your main fabric FQ on top~ with the pretty facing up. ;-) Take your time to line these up carefully and pin them together so they match up. 2. Press the three pieces together and they will slightly adhere to one another. 3. Quilt as desired~ I used the blue tape to make diagonal lines and just quilted diamonds. On the second one I quilted wavy lines. Just play around and have some fun! 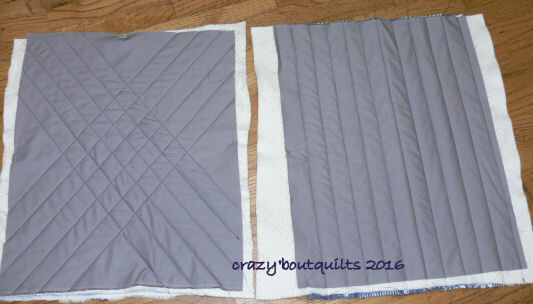 I increased my stitch length on my machine to 3.0 for the quilting. You may want to increase your stitch length also. 4. Repeat for the 2nd lining and main FQ’s and batting. I just did straight lines for this side. 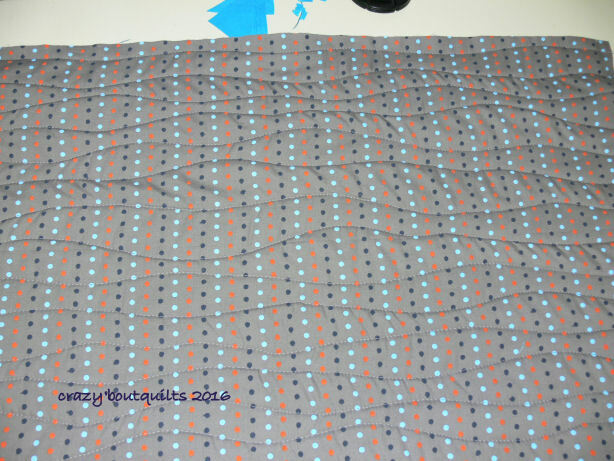 One of the reasons I like to use freezer paper is because you can press the waxy side to your fabric and won’t need to pin the pattern in place. 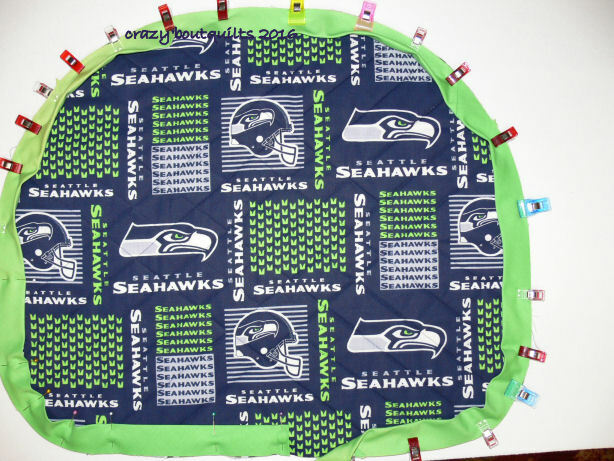 *You will likely notice my batting was bigger for the sport themed fabric~ it was a scrap I had and just didn’t trim down to size before I started quilting. :-o As long as the FQ’s matched up, it really didn’t matter. 2. 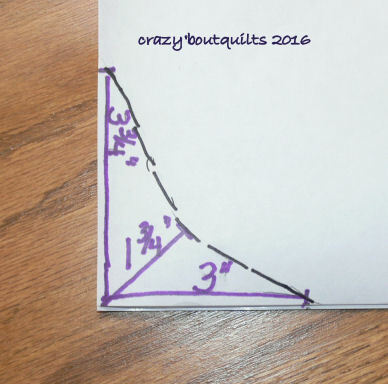 If you didn’t get your front and back FQ’s lined up perfectly, you can sliver cut up to a ¼” from the sides. There are a lot of good tutorials on the internet for making bias strips, or maybe you already have a favorite way. This method by Kimberbell Designs works very well. The only change you need to make is to cut your strips 2 ½” wide. 1. 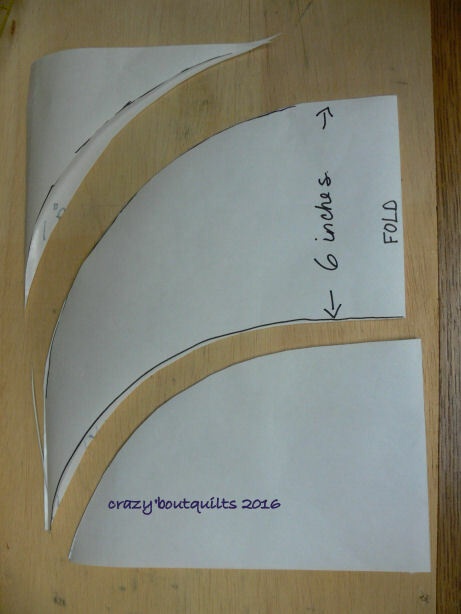 Cut off the selvage edge before folding your fabric like the tutorial. 2. 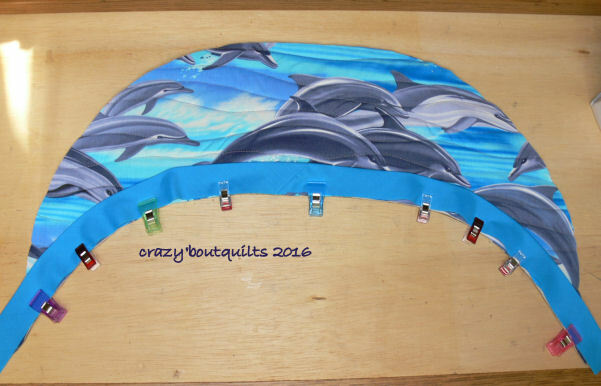 I cut 7- 2 ½ “segments and sewed them together the way she did in the tutorial. 3. Press the joining seams open and then press your binding in half, wrong sides together. Cut off the little ‘bunny ears’, that stick out. 1. Take approx 31” of your bias binding and sew it to the bottom edge of the flap the same way you would sew on a quilt binding. Leave an inch or so on each end so later we can trim it to fit the front. Use a ¼” seam allowance. 2. . Press it to the back side, making sure the fold covers the seam. 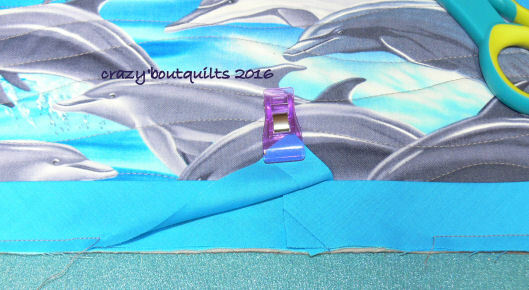 Pin or clip it very well and from the front side sew ‘in the ditch’ to completely attach the binding. *Note~ if are not happy with how your stitching looks or you didn’t catch the binding in places, you can also use a decorative stitch from your machine for this part. Here mine is a little crooked (keeping it real! ), but this side will not show on the finished flap. 3. Next put your shade front (the larger piece) and back flap, lining sides together, tops matching, and baste around the outside edge. 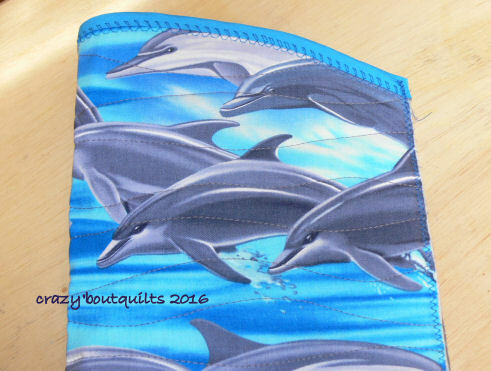 Take a scant ¼” basting seam and you may not have to remove basting stitches later. 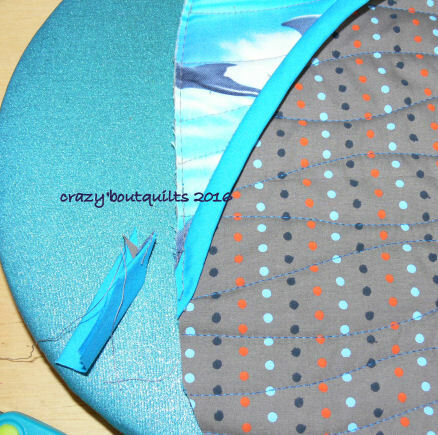 ;-) After you have basted them together, trim the excess binding from the flap even with the side of the sun shade. 4. 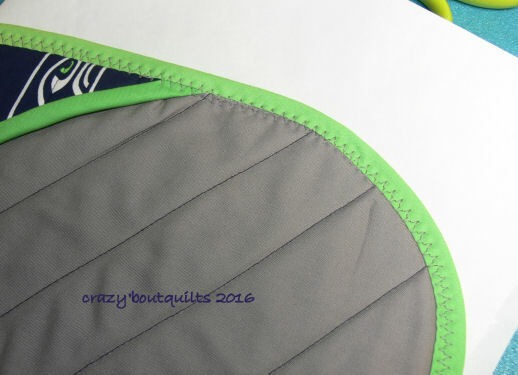 Press under ½” on the end of your bias binding and pin/clip it to your shade front. You will need approx 66” of binding for this step. 5. 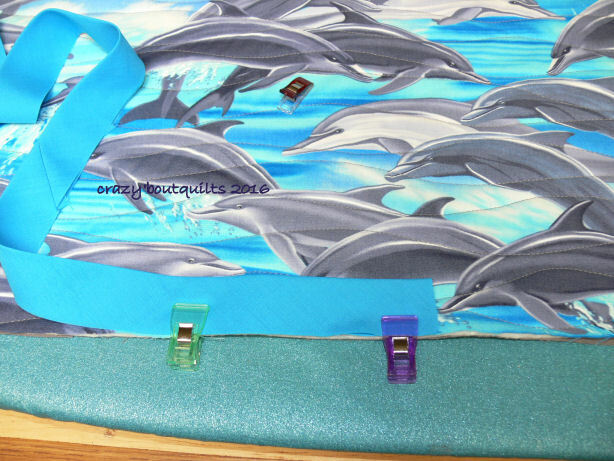 Start sewing about 3 inches from your pin/clip, attaching the bias binding to the shade. Ease, don’t stretch the binding around the corners. Again, use ¼” seam allowance. 6. When you get to within 3 inches of your folded edge, stop sewing and carefully cut the bias so you can tuck 1” into the folded edge. Now go back and sew the remaining 6 inches down. 7. Press your binding to the back of your shade, if you need to trim to get the fold to be just below the seam, go ahead and trim. Pin/clip all the way around and again, from the front, stitch in the ditch to finish attaching the binding. This time I used a ‘heart beat’ stitch. 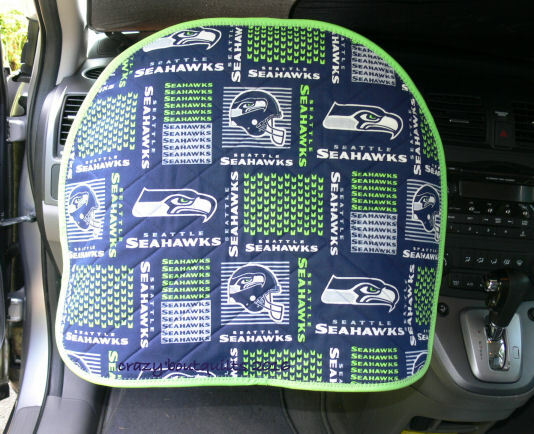 Your steering wheel sun shade is finished! Please remember to remove it from the steering wheel before driving! I used the leftover quilted FQ from the back part of the cover to make a little pouch to store my shade in over the winter. Very easy! 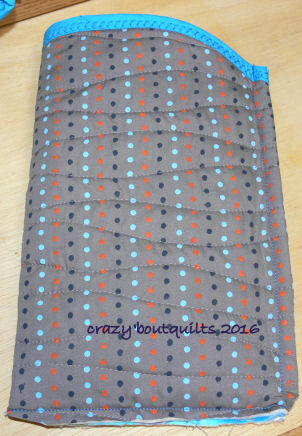 Just square it up a bit, use leftover bias binding and stitch it together. 1. Fold the remaining piece in half and trim the bottom edges even. Trim 4’ from the side without the fold. It will measure approx 11” at the highest, center point by 14 ½” wide. 2. Add your leftover binding to the top edge. And then sew with right sides out, a small zig-zag stitch right along the edge. 3. Next turn your case inside out, press well, and stitch using a ½” seam allowance. 5. Trim the bottom corner and turn right side out. 6. You can fold your sun shield in half and roll it up to fit in the case for storage during the winter. Samantha, thank you so much for allowing me to guest post on your blog today! I hope your readers have enjoyed this tutorial and will give it a try. Thanks Sandie, it's always a pleasure to see what you've made, and this is super practical! I think it'll definitely be on my 'to make' list!